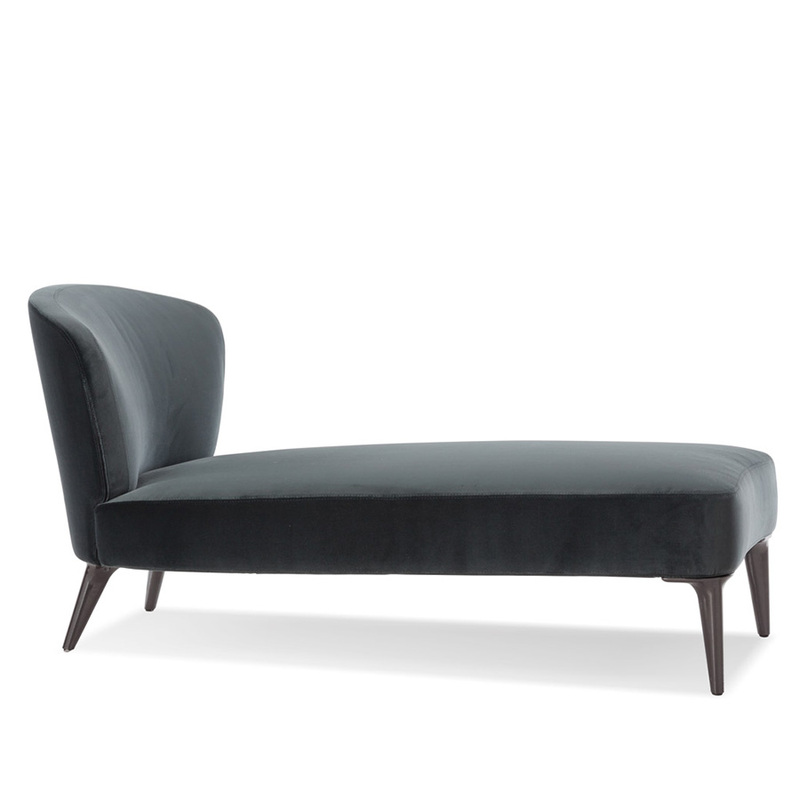 Aston is a family of individual pieces, including a sofa, a daybed, armchairs, poufs and chairs custom-designed to furnish homes, public spaces and outdoor spaces with style and elegance. 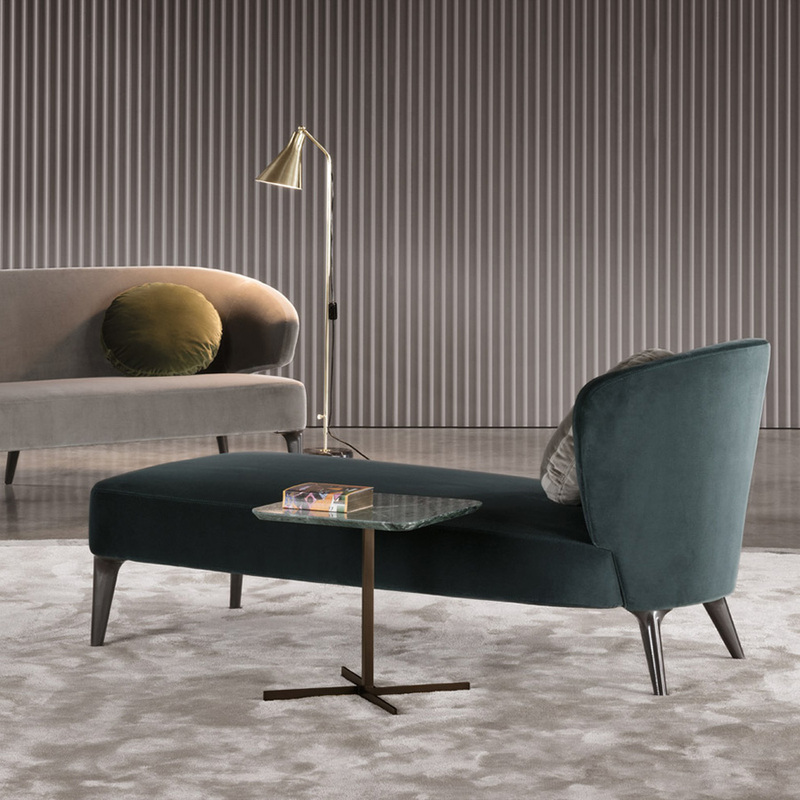 The source of inspiration for the Aston collection is the memory of the old-fashioned parlor or drawing room where smaller scale sofas and dainty armchairs were in fashion. 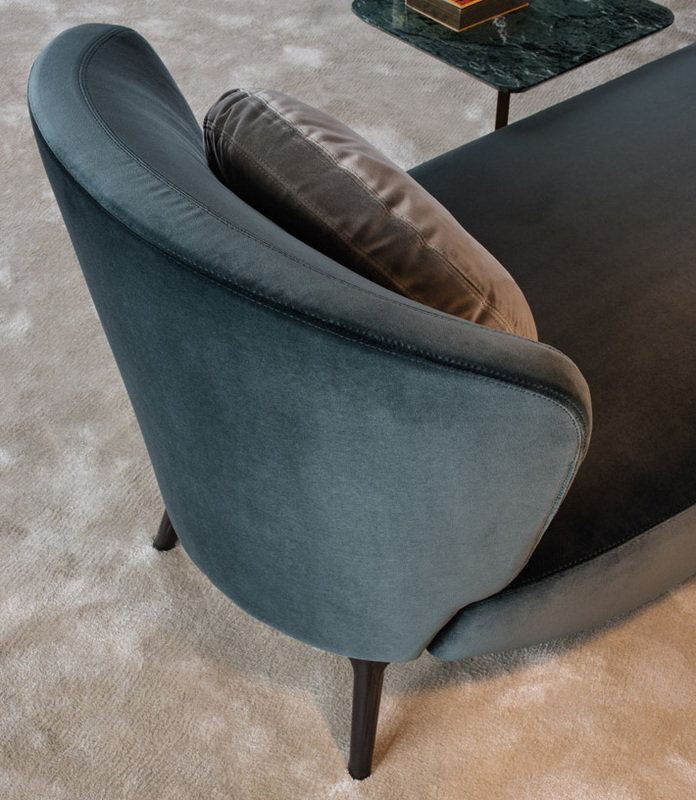 Aston pieces feature eloquent lines, a more conservative sale and the kind of painstaking construction that expresses time-tested craftsmanship. Frame in metal with elastic rubber strap webbing. Seat in variable density polyurethane foam coupled with lightweight channeled down quilting. Backrests with fire-resistant polyurethane foam. Cushions entirely in channeled goose down. Fabric and leather covers are completely removable. Legs in molded cast aluminum painted in pewter with high gloss anti-fingerprint finish.